Hyderabad: BioAsia, the annual global life sciences confluence hosted by the Government of Telangana, has announced that the prestigious Genome Valley Excellence Award for the 16th Edition the event will be conferred upon Dr Don W. Cleveland of the University of California and Dr Soumya Swaminathan, Deputy Director General of Programmes, World Health Organization. The award to Dr Cleveland recognizes his pioneering work in cancer genetics. He is also the winner of Breakthrough Prize for Life Sciences 2018, which is regarded as the “Oscar of Science”. Dr Swaminathan, who is the first Indian to be appointed to the second highest position in the World Health Organization, is acknowledged for her excellence in Biomedical research. The awards will be presented during the inauguration ceremony of BioAsia 2019, which is scheduled to begin from February 25, 2019 at HICC, Hyderabad. The Genome Valley Excellence Award was instituted in 2004 to recognize ‘transformative advances toward biomedical research and facilitating improvement in human life.’ The winners are chosen by an International Advisory Board of BioAsia consisting of eminent personalities from the life sciences sector including Dr Ajit Shetty, Chairman Emeritus, Janssen Pharmaceuticals, Belgium and Corporate Vice President Global Operations, Johnson & Johnson USA (retd. ), Dr Robert Naismith, Chairman, JUJAMA, Inc., USA and Dr Makarand S Jawadekar, Former Director, Pfizer, USA among others. “One of the highlights of BioAsia has been the conferment of the Genome Valley Excellence Award. The award was instituted in 2004 to recognize individuals and organizations, who have made remarkable contributions to the sector and inspire leaders to join the mission of improving human lives. Over the years the Genome Valley Excellence Award has gained significant stature and prestige, benefitting from its recipient history. 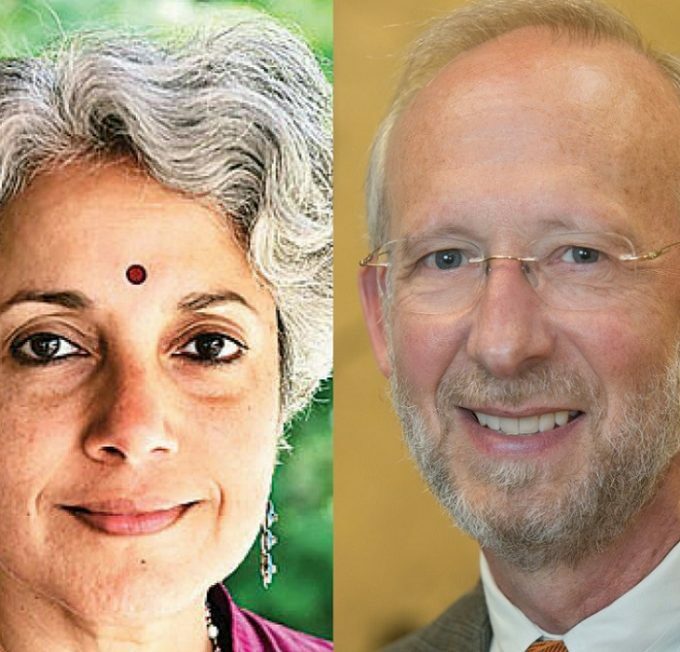 Recent awardees include among others several Nobel Prize winners Dr’s Kurt Wuthrich, Ada Yonath, Harald zur Hausen, Barry Marshall, Martin J Evans, eminent industry and scientific leaders” said Mr. Shakthi Nagappan, CEO, BioAsia and Director (Life Sciences & Pharma), Government of Telangana. “Advances in life sciences and biotechnology have helped individuals, communities, nations and the whole world improve their health and wealth. Our own state of Telangana, which has over the years become a vibrant biotech hub, catering to the world, thanks to contributions by groups here in pharmaceuticals, vaccines, advanced medical care, and research in genetics and related areas, as well as through state support of start-ups. In order that we update ourselves and grow even better, we hold annual events such as BioAsia. In these events, we bring some of the best minds in the field from across the world to interact with us, and help us grow” said Prof D. Balasubramanian, Distinguished Scientist (Director of Research Emeritus), L V Prasad Eye Institute (LVPEI). Next articlePublic Health Symposium organized to study disastrous effects of noise on health!